Spring has sprung and now the kids are excited about Summer break! How to keep them entertained? Here’s a great list of some budget friendly summer activities for the kids that you’ll enjoy right along with them, knowing it’s not breaking the bank! Barnes & Noble Summer Reading Program: Your kids (grades 1st-6th) can read 8 books and record them in the Reading Journal. Then take their completed journal to any Barnes & Noble bookstore, and your child can choose a FREE book from their selection on the Reading Journal list. You may also want to check out the Barnes & Noble FREE online storytime! Pizza Hut Book It Summer Reading Challenge: Sign your kids up now for the FREE Pizza Hut Book-It Summer Reading Club. This program runs from 6/1-8/15. Your kids will enjoy fun activities, play exciting games, and even create their own custom dragon. Scholastic Summer Challenge: Starting May 5, kids can log their reading minutes to help set a new world record for summer reading and earn FREE reading resources. Sylvan Learning Book Adventure: Kids (grades K-8) can search for books and read them offline. They’ll finish reading a book and then take a quiz on what they read to earn cool prizes. Half Price Books Feed Your Brain Summer Reading Program: Kids 14 and under need to read (or have a grown up read to them) for at least 15 minutes each day in the months June and July. After they have read for 300 minutes, they can turn in their completed log to earn HPB Bookworm Bucks for each month. One top reader per age group each month with receive the TOP READER prize – a $20 HPB Gift Card! TD Bank Summer Reading Program: The details to the 2014 program have not been announced yet. Here are details regarding the 2013 summer reading program: Kids 18 and under can snag a FREE $10 by reading 10 books this summer. After they have read 10 books and recorded the names in the Summer Reading Form, take the form to the nearest TD Bank to have $10 deposited into a new or existing Young Saver account! Pottery Barn Kids Summer Reading Challenge: This summer reading program runs from 5/15-7/17. Your kids will score a FREE book when they read 8 books on the Summer Reading list! Plus every Tuesday from 11 a.m.-11:30 a.m. there is a Pottery Barn Kids Story Time where members receive an official Book Club Passport at their first story time, plus a special FREE gift after attending five story times. There are tons of FREE eBooks for Kids on Amazon. Ready for some fun summer movies?! Cinemark Summer Movie Clubhouse: 10 movies for only $5. That comes out to just $0.50 per movie! Plus you can purchase tickets the day of the movie for just $1. Cinemaworld’s Summer KidFest 2014: FREE films, seven days a week, all summer long. Every day at 10 a.m., Cinemaworld features a family-friendly G or PG rated film for your kids to enjoy, with new movies premiering on Fridays. FREE Admission for children and adult admission is just $2 or FREE with the donation of a non-perishable pet-food item to benefit the Brevard County Humane Society. Classic Cinemas: Check out the Wednesday Morning Movie Series – 6/11- 8/6 you can see G and PG rated films for just $1. Harkins Summer Movie Fun: Kids can enjoy a movie a week for 10 weeks, for less than $1 per film. heck out the locations and start dates and then get your tickets! Marquee Cinemas: Enjoy a FREE family film each week during the summer. Muvico Free Summer Film Fest: This year’s FREE summer film fest is yet to be announced. Here are details regarding the 2013 film fest: At 10 a.m. on Tuesday, Wednesday, and Thursday catch a FREE family movie. This deal runs 6/11 – 8/15. Regal’s Summer Movie Express: This summer movie program is on Tuesdays & Wednesdays at 10 a.m. and runs for nine weeks. Admission is $1, and a portion of the proceeds will benefit the Will Rogers Institute. Here are some fun indoor/outdoor activities you won’t want to forget about too! AMF: Register nowso you are updated when the 2014 FREE summer bowling program is announced. Here are details regarding the 2013 program: FREE bowling for kids 15 and under. Kids registered in the Summer Unplugged program can bowl two games per day, every day (until 8pm). 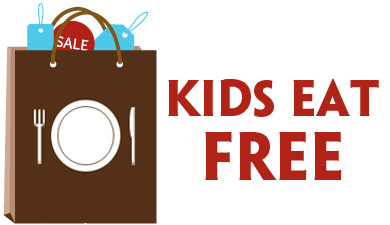 Kids Bowl Free: Each kid will score 2 FREE games of bowling per day. You can find a participating location near you on their interactive map. Note: Taxes and shoe rental fees apply and vary by location. Kids Skate Free: Kids 12 and under can skate for FREE this summer at participating Kids Skate FREE Rinks. Hours and additional fees (including skate rental fees) vary based on location. Chuck E. Cheese Rewards Calendars: Reward your kids for great behavior, daily chores, reading and more with the Chuck E. Cheese Rewards Calendars. Your child will be rewarded with 10 FREE tokens with their completed reward calendar. Home Depot: Home Depot offers FREE workshops for do-it-yourselfers of all ages and experience levels. Check out the schedule and choose a specific workshop to attend. Lowe’s: Bring the kids to a Lowe’s Build and Grow workshop. Michael’s: Join the Michaels Kids Club and let them explore their creativity while you shop. Only $2 per child reserves 30 minutes for your creative kid. Sessions starting every half hour from 10:30 a.m. – 11:30 a.m. Plus Michaels craft stores host FREE Family Craft Time sessions so the whole family can get their craft on. Apple Camp and Apple Youth Workshops for Families: Apple Camp will return this year. For your tech savvy kids, have them attend an Apple Camp at a participating Apple Store. At Apple Camp, kids ages 8–12 will learn the ins and outs of iMovie and how to make their own films. The FREE three-day session leads up to an Apple Camp Film Festival where campers debut their masterpieces. Apple also offers a FREE technology session for the entire family with their Youth Workshops for Families. Youth Workshops offer families with kids (ages 6 to 13) a chance to work together to hone their Mac and iPad skills and use iLife and iWork apps to complete exciting projects. You can learn how to compose a song, build a photo album, create a compelling presentation, and more. Microsoft YouthSpark Summer Camps: From 6/2 – 8/29, your kids aged 8-13 can enjoy a FREE technology class with the Microsoft Store’s 2014 YouthSpark Summer Camps. Camps are broken up into two age groups for Jr. Designers (recommended for ages 8-10) and Designers (recommended for ages 11-13). YouthSpark Summer Camps are first come, first serve. Lakeshore Learning Crafts: FREE Crafts for Kids every Saturday from 11 a.m.-3 p.m. Find a location near you and enjoy! American Girl In-Store Events: Your kids can participate in FREE American Girl in-store events that include crafts, cooking classes and tours. 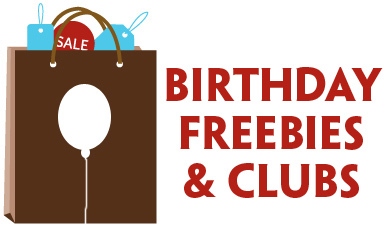 Pottery Barn Kids Store Events: FREE kids activities that include events such as Earth Day Treasure Hunt and a Mother’s Day Celebration. Bass Pro Shops Family Summer Camp: Bass Pro Shops host FREE activities and crafts for the family. These FREE camps are every Tuesday and Thursday starting at noon and Saturday and Sunday starting at noon. Your family can enjoy FREE crafts, FREE shooting gallery, FREE casting pond, FREE family workshops, FREE make campfire s’mores, FREE photo, and FREE merit badge workshops. Please note that not all activities are available at all Bass Pro Shops. Whole Foods Kids Cooking Classes: Do you have a little iron chef in your family? If so, then check out the Whole Foods Kids Cooking Classes for kids 5-12 years old. Pre-registration is required for all FREE cooking classes. FREE National Park Days: Take the kids and head outside to explore on FREE National Park Days. Use Trail Link to Discover Local Trails: Won’t be able to get to a National Park for FREE National Park Days? You can use Trail Link to find local trails where you can go hiking, biking, and more. Go Geocaching: If your kids love a good treasure hunt then go Geocaching. All you need is a GPS enabled device such as your smart phone and you can play a real-world treasure hunting outdoor game called Geocaching. Players try to locate hidden containers, called geocaches, using their smart phones and then share their experiences online. Write to a Pen Pal: If you Google “find a pen pal” you’ll find several sites where you can locate pen pals from all over the world to correspond with. VolunteerMatch.org: Check out local volunteer opportunities for you and your kids – what a fun way to teach them to give back to your local community! Target Community Events: Target hosts a variety of events including a day of reading for parents and kids. In addition, they partner with arts organizations so you can snag FREE or nearly FREE entry to the arts in your community. Bank Of America Museums On Us: If you are a Bank of America or Merrill Lynch credit or debit card holder you can score FREE admission to over 150 museums the first full weekend of every month. Solve Printable Mazes to keep their young minds thinking strategically all summer long. Color Crayola Disney Coloring Pages including Disney Cars Maze Coloring Page, Disney Cars Race Coloring Page, Disney Cars Mosaic, Disney Fairies Tinkerbell Coloring Pages, Disney Princess Belle Coloring Page, Disney Toy Story Woody and Buzz Coloring Page and the Disney Mickey Mouse and Friends Coloring Page. Play games, read books and comics, and more all for FREE on FunBrain.com. Visit the Nickelodeon website to play FREE online games, watch FREE online videos, get FREE kid craft ideas, kid recipes and more! PBS Kids: FREE educational videos, games and activities. Kids National Geographic: Kids can watch videos, play games, and learn lots of cool stuff about animals and more. Your kids can download FREE Android apps for kids on Amazon. For iPhone and iPad users, be sure to head to the iTunes store to download lots of fun FREE apps as well. Download FREE Music for children from Amazon.